If I knew then what I know now-Don’t blame the dog! "If I Knew Then . 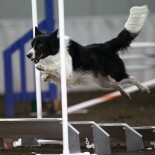 . . It’s Not About Agility."